Today’s connected vehicle (CV) technology is primarily focused on vehicle-to-vehicle or vehicle-to-infrastructure communications that support the safety and mobility needs of drivers. However, CV technology has the potential to provide benefits to pedestrians and bicyclists as well. While still predominantly in the research stage, there is great potential to use mobile devices to support emerging CV applications that benefit pedestrians and bicyclists. In the context of the CV space, a mobile device is typically defined as a combination of communications technologies that are offered by current smartphones accompanied by new, low-latency peer-to-peer connectivity. The use of mobile devices in the CV space has the potential to improve pedestrian safety by communicating directly with vehicles to enable alerts to drivers when they are approaching a pedestrian, and vice-versa. This would enable drivers to be more aware of when they are entering an area with pedestrian activity, or to improve awareness in more specific situations, such as when there is a pedestrian in a crosswalk. Conversely, the pedestrian could be made more aware of the presence of vehicles in the area or approaching a crosswalk. Furthermore, mobile devices could enable use of a virtual pedestrian crossing button, similar to existing crossing buttons at intersections. Agencies are striving to ensure that all travelers can easily access features that allow pedestrians to request the walk phase at signalized intersections. A mobile device could eliminate the need for the traveler to access the crossing button, which might be difficult for a traveler with limited vision or other physical handicap. The mobile device could also provide an alternative means (visual, audio and haptic) of communicating the crossing status and the time remaining to cross to travelers. Communication between a mobile device and an intersection could also determine when there is a large group of pedestrians crossing or when a pedestrian may need extra time to cross. The signal could be adjusted to accommodate pedestrians at the intersection in real time. The optimal performance of transportation networks is increasingly reliant on the quick and accurate collection and dissemination of large amounts of data. Traditional traffic management relies on loop and video data to detect the presence and speed of vehicles at fixed locations, while traditional transit management relies on real-time vehicle location and passenger count information. These methods are expected to continue for the foreseeable future, but there is increasing interest among transportation professionals in the use of CV data to supplement data collected from traditional sources. Specifically, implementation of CV technology could result in the availability of high-quality, high-frequency operations data that would complement existing data streams. Connected vehicles and certain emerging mobile device technologies broadcast location and motion information to support driver and pedestrian safety. Roadside CV infrastructure can also capture this information from vehicles over a range of around a half-mile or more (provided a clear line of sight) and forward it to management agencies. As the number of CVs and the scope of roadside CV infrastructure continue to grow, management agencies will have access to an unprecedented amount of data capable of significantly enhancing existing capabilities. Captured data is aggregated and fused with other data (for example, data generated by intelligent transportation system devices) to generate system performance measures, to capture decisions made by travelers, or as input to a decision support system. This would allow a traffic management agency to more effectively pinpoint sources of congestion, apply a localized demand management strategy, or implement adaptive signal timing sequence. A transit management agency could also decide to increase the frequency of vehicles along a certain route, provide on-demand service, or request signal priority, based on the data that it receives. The continued growth in the deployment of CV devices and roadside infrastructure will result in an expansion of high-quality, real-time, multimodal transportation data. Though currently limited, the opportunity to collect and use CV data for transportation management purposes will continue to grow as CV technology proliferates on vehicles, mobile devices and roadside infrastructure. However, it is important to acknowledge that benefits can be realized only if transportation agencies are prepared to manage and process the CV data that is generated as the technology continues to advance. 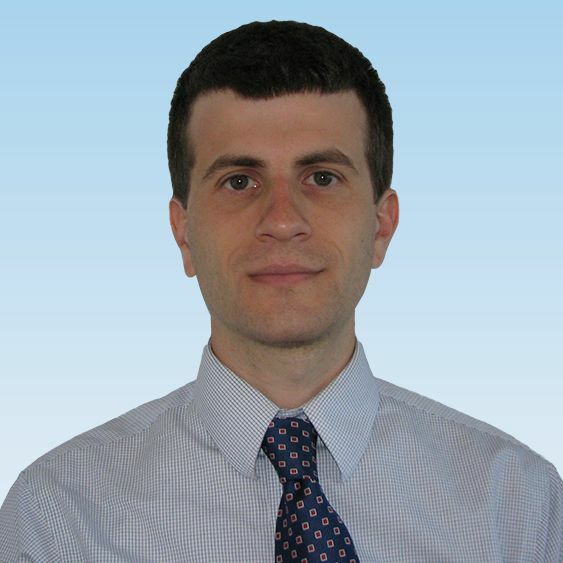 Christopher Toth is an associate consultant at WSP USA with experience in systems engineering, connected vehicles, automated vehicles and transportation systems operations. Chris is currently supporting the development of the Smart Columbus Connected Vehicle Environment project, the Smart Columbus Connected Electric Automated Vehicle project, and a U.S. Department of Transportation research project that focuses on Sharing and Using Connected Device Data to Improve Traveler Safety and Traffic Management.